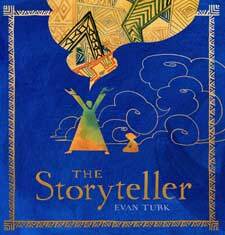 THE STORYTELLER became a book? 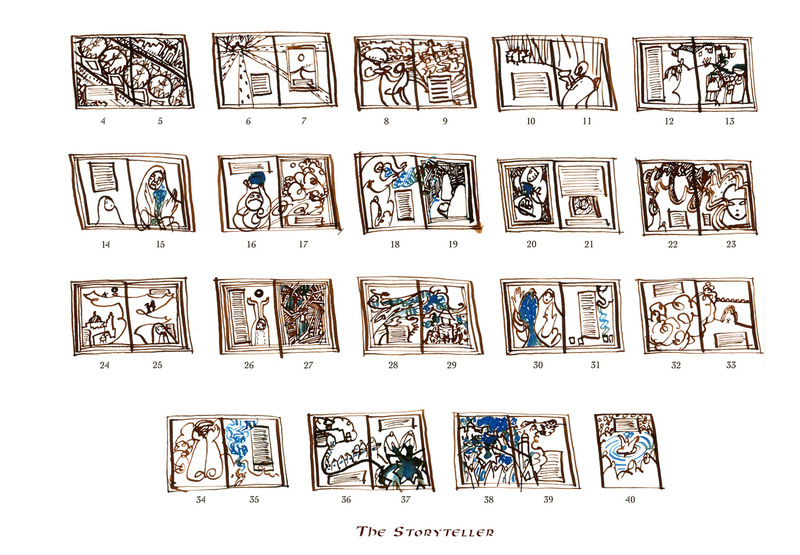 After I figured out the story I wanted to tell, I created a pagination of small thumbnails to decide how I wanted to tell that story in pictures. 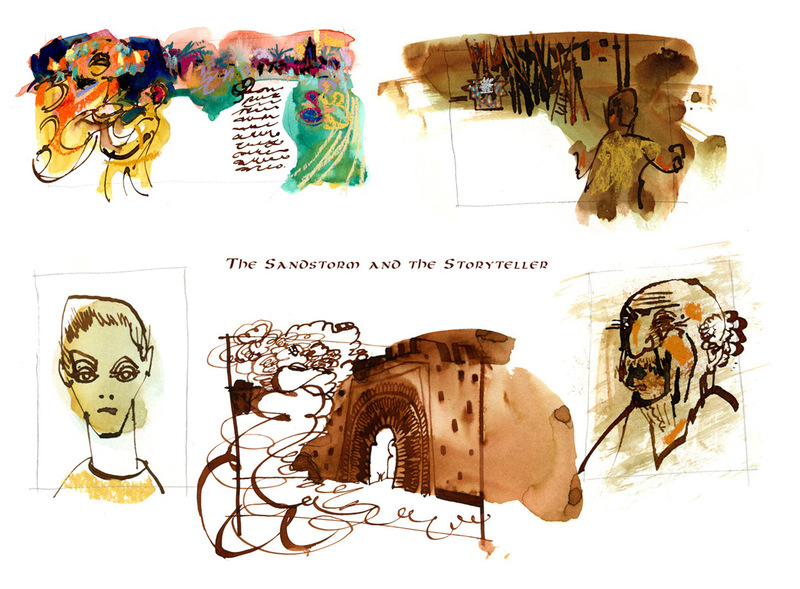 This helps figure out what images and symbols are important and how to emphasize them throughout the story. 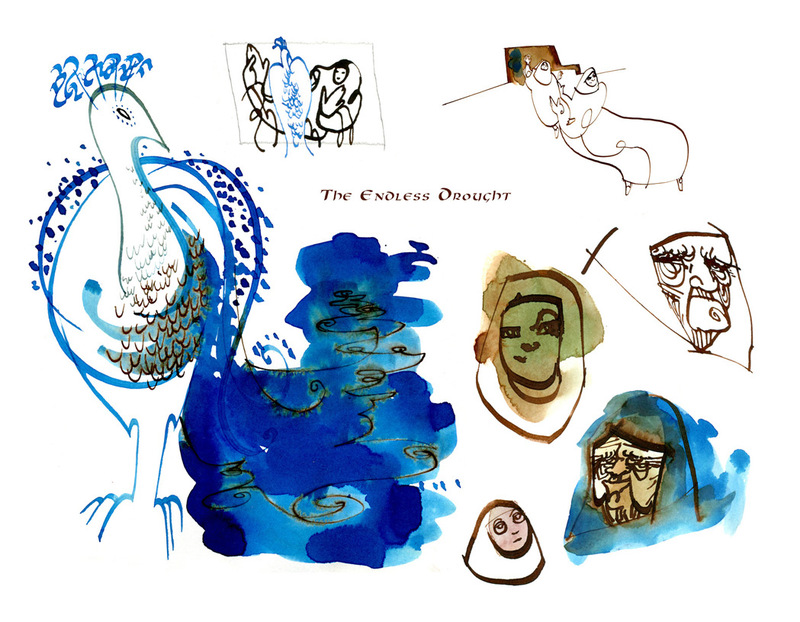 Even in the early thumbnails, you can see that the water/bird/yarn/stories were all blue and stood out against the rest of the palette. Along with the pagination, I did many small thumbnail sketches to figure out how the final art and characters might look.